Follow in the footsteps of much-loved authors, including Ernest Hemingway, James Joyce, Virginia Woolf, Mark Twain, Jack Kerouac, Jane Austen, and many more. For vacationers who crave meaningful trips and unusual locales, cue National Geographic's Novel Destinations—a guide for bibliophiles to more than 500 literary sites across the United States and Europe. Check into Hemingway's favorite hotel in Sun Valley, or stroll about Bath's Royal Crescent while entertaining fantasies of Lizzie Bennett and her Mr. Darcy. The fully revised second edition includes all of the previous sites—with updated locations—plus color images and an expanded section on all things Brontë. The book begins with thematic chapters covering author houses and museums, literary festivals and walking tours. Then, in-depth explorations of authors and places take readers roaming Franz Kafka's Prague, James Joyce's Dublin, Louisa May Alcott's New England, and other locales. 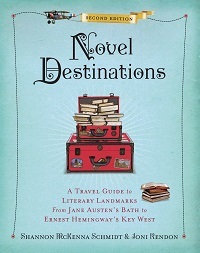 Peppered with great reading suggestions and little-known tales of literary gossip, Novel Destinations is a unique travel guide, an attractive gift book, and the ultimate bibliophile's delight. I love to travel and when I do I am always on the lookout for anything bookish to check out. 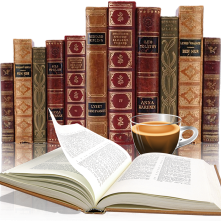 Whether it's bookstores, museums or local hangouts of authors, I scour the net before leaving. I jumped at the chance to review this book, it's exactly what I am interested in and everything is in one neat package. Now it's a little big to take along but it is great for planning. Novel Destinations is also great to sit back and browse, not just to get ideas and plan your next great adventure but for curiosity's sake as well. Divided into 2 parts with Travel by the Book: the best literary experiences at home and abroad being the first one. Part Two: Journeys between the Pages - the pages of literature come to life in the following 11 locales immortalized by famed novelists. These locations are mainly in Europe and the east coast of the US (and one stop in California). All of them are authors that I have heard of but some I've never read. Reading about their story, seeing pictures of the places they would hang out has peaked my interest. From The House of the Seven Gables (Nathaniel Hawthorne) to A Sacred Place (Victor Hugo) and 9 more famous authors this book was insightful and a nice glimpse into their lives. Part of me feels that I liked Part Two better just because of the opportunity to get to know new authors better and see their background but then Part One journeys to museums, coffee shops and other places to visit and walk in their footsteps. Each section was unique and interesting. 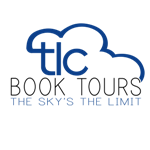 Thank you to TLC Tours for the opportunity to review this one. Shannon McKenna Schmidt is the co-author with Joni Rendon of Writers Between the Covers: The Scandalous Romantic Lives of Legendary Literary Casanovas, Coquettes, and Cads. She has written for Arrive, National Geographic Traveler, Shelf Awareness, Gothamist.com, and other publications and websites. A former Hoboken, New Jersey, resident, she is traveling full-time in the United States and abroad and can be found on the web at EverywhereOnce.com and NovelDestinations.wordpress.com.